In this paper, the mechanism and reason of silver corrosion and discoloration are discussed. The analysis and characterization of silver corrosion layer and the cleaning method of the discoloration part of silver are described. There are two methods for silver anti-corrosion and anti-tarnish. One is to develop anti-discoloration silver alloy. The other is to treat silver layer surface, which includes: surface plating, surface passivation, surface coating (Resin Coating, RC; Plasmapolymer Coating, PC; Organic Adsorption Complex Membrane, OACM; Supramolecular Self-Assembly, SSA), and surface deposition (Megnetron Sputtering, MS; Plasma Beam Sputtering, PBS; Chemical Vapor Deposition, CVD; Atomic Layer Deposition, ALD). It has great potential for SSA and ALD technologies to be applied in the silver corrosion protection. Furthermore, the technological requirements of silver anti-corrosion are listed and the need for silver anti-corrosion to be comprehensively controlled from all aspects is also proposed. 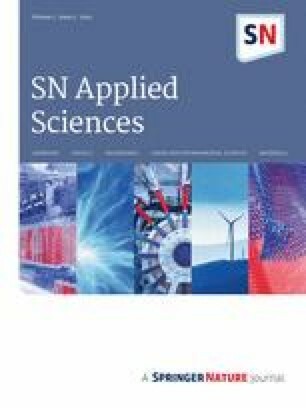 Noble-metal nanoparticles (AgNPs, AuNPs) have had a substantial impact on diverse fields, including catalysis, sensing, photochemistry, optoelectronics, energy conversion and medicine. Although Ag has very desirable physical properties (long-lasting antibacterial ability and bacteriostasis, electric conduction, heat conduction, safety and reliability of anti-electromagnetic wave radiation) with good relative abundance and low cost, AuNPs have been widely favored owing to their proven stability and ease of use. Unlike Au, Ag is notorious for its susceptibility to oxidation (tarnishing), which has limited the development of important Ag-based nanomaterials. Despite two decades of synthetic efforts, AgNPs that are inert or have long-term stability remain unrealized. Accordingly, the anti-corrosion and anti-tarnish research of Ag-based material has been highly valued by domestic and foreign counterparts. For a long time, a large number of researchers have been working hard to develop the corrosion protection and anti-tarnishing property of Ag. There is a hope of preventing or effectively slowing down the Ag discoloration, which has great practical significance for the extensive and durable use of Ag-based functional materials. In particular, it can further meet the needs of high-end products, national defense industry, extreme environment and special fields. Corrosion and discoloration phenomenon will inevitably occur in the storage and use of Ag products. There are mainly three chemical factors that cause corrosion and discoloration of Ag materials [1, 2, 3, 4, 5, 6, 7, 8, 9]. Corrosion Media. In the atmosphere, there is oxygen (O2), slight or trace hydrogen sulfide (H2S), elemental sulfur (S8), sulfur dioxide (SO2), organic sulfide (OCS, CS2, CH3SCH2), nitride (NOx, NH3, HNO3), mixture of various gases, free radicals and peroxides (H2O2, O3), chloride (Cl2, HCl), carbide (CO2), organics (HCHO, HCOOH, CH3COOH), and sulfide solution (Na2S, NaHS). These corrosive media make Ag be corroded into sulfides and sulphates (Ag2S, Ag2SO3, Ag2SO4, Ag2S2O3), oxide and carbonate (AgO, Ag2O, α-Ag2CO3, β-Ag2CO3, γ-Ag2CO3), chloride (AgCl), nitrogen compounds (AgNO3), organic compounds (AgCO2CH3, AgCO2H, Ag2C2O4), and corresponding Ag layer discoloration. Environmental Factors, such as temperature, humidity and light. The high temperature, high humidity and strong light, especially ultraviolet light can accelerate Ag ionization and impel Ag corrosion and discoloration. Surface Morphology of Ag. The Ag with lattice defects is more erosive and discoloring than that with lattice integrity. In addition, the discoloration of Ag is also influenced by physical factors [10, 11]. When the specific frequency of the light is irradiated on the surface of the metal nanoparticles, Local Surface Plasmon Resonance (LSPR) effect of metal nanoparticles, namely, LSPR adsorption or LSPR radiation makes the nano structure metal take on a specific color. The morphology of Ag products (particle size, shape and compactness degree) can be changed due to the preparation conditions and heat treatment, so that the LSPR properties of the Ag surface are changed, which leads to the color change of the Ag products. The corrosion and discoloration of Ag have complexity and multiplicity. Under the influence of multiple factors, Ag is more vulnerable to corrosion. It displays pitting corrosion, darkening and spots, and appears blue, black and so on. This phenomenon not only affects beauty, but still can weaken the good performance of Ag products and result in its loss. In order to effectively prevent Ag products from corrosion, clean Ag corrosion layer, and recover from Ag discoloration, it is necessary to analyze and characterize the corrosion layer and the discoloration part of Ag. To produce Ag corrosion and discoloration layer, on the one hand, the experiments in natural conditions are employed, namely outdoor test method, which can truly reflect the discoloration and performance of Ag products in a certain environment, but the test time is long and the result reproducibility is low. On the other hand, laboratory simulation accelerated test is adopted, namely laboratory test method, which includes liquid phase test (Na2S, artificial sweat, salt water, etc., with solution immersion); gas phase test (H2S, SO2, and mixed gas); and illumination test. Accelerated corrosion test has good operability, reproducibility, and short test time, so it is the commonly adopted method to produce the discoloration part and corrosion layer of the Ag. Naked Eye Observation is to carry out corrosion appearance rating, for which the Ag appearance is rated based on the change degree of luminance and cleanliness, such as color changing, color losing, pitting corrosion, changes about corrosion products, et al. Spectrophotometer Method is the quantitative analysis of Ag products color. It can show the discoloration degree of Ag for a certain period of time, directly reflecting the anti-discoloration performance of Ag. Weighing Method is to measure the mass change (∆m) of Ag products when there is the occurrence of Ag corrosion. Test accuracy can reach nano-gram level (ng = 10−9 g) when using Quartz Crystal Microbalance (QCM). Contact Resistance Method is to measure the electrical resistivity and conductivity with Four Point Contact Resistance Meter. Electrochemical Analysis Method [12, 13] is to carry out the test of Linear Sweep Voltammetry (LSV), Polarization Curve (PC), and Electrochemical Impedance Spectroscopy (EIS) and so on to evaluate the corrosion rate and corrosion degree of Ag layer. Microanalysis Method of Corrosion Layer [14, 15, 16, 17, 18] is to observe the morphology of the corrosion layer by using Scanning Electron Microscope (SEM), Transmission Electron Microscopy (TEM), and Field Emission Electron Microscope (FE-SEM); to analyze the elements, relative content, valence state, component and chemical structure of the corrosion layer, Auger Electron Spectroscopy (AES), Energy Dispersive X-Ray (EDX), Electron Microprobe Analysis (EMPA), Surface-Plasmon Resonance (SPR), X-ray Photoelectron Spectroscopy (XPS), Secondary Ion Mass Spectrometry (SIMS), and Ultraviolet–visible spectrum (UV–Vis) are adopted; to represent the crystal structure of the corrosion layer, X-ray Diffraction (XRD) is used. In Situ Real-Time Monitoring Method  includes QCM, Atmospheric Corrosion Monitoring Battery (ACM), Kelvin Scanning Probe (SKP), et al. These in situ monitoring methods are widely used for the analysis and characterization of atmospheric corrosion behavior and mechanism of the metallic materials. Based on the analysis of discoloration site and corrosion layer of Ag objects, the scientists and technicians have developed the corresponding cleaning methods to recover the appearance and performance of corroded Ag, which includes: mechanical cleanings [19, 20], chemical cleanings [19, 20, 21] (sodium glycinate, thiourea acid solution, thiosulphate solution, formic acid, alcohol, surfactant, acetone, et al. ), electrochemical cleanings [22, 23] (constant current cathodic reduction, electrolytic pencil), laser cleanings [24, 25, 26, 27] [Q-switched Nd: YAG laser, emitting infrared (1064 μm), visible (532 nm) and ultraviolent (355 nm) radiation], Ar ions irradiation cleanings , Ar plasma cleanings [29, 30], plasma afterglows cleanings , UV/Ozone cleanings , and so forth. The characteristics of various cleaning methods are also pointed out. In actual work, we can choose the suitable method as needed. How to prevent or slow down the corrosion and discoloration of Ag products has always been one of the hot topics in the field of material protection. Scientists and technicians have done a lot of research on the mechanism and the process of Ag anti-corrosion and anti-discoloration. There are mainly two ways to be adopted. One is to develop anti-tarnish Ag alloy and the other is to carry out surface treatment of Ag layer. Developing anti-tarnish Ag alloy makes Ag alloying. There are mainly three types. Alloying of Precious Metals. Pd, Au, Pt or other noble metals is added into Ag matrix to enhance the electrode potential of Ag and improve its anti-tarnishing property. Alloying of Rare Earth Metals. Trace rare earth elements such as Y, La, Ce and so on is added into Ag matrix to improve its anti-tarnish and sulfuration resistance. In addition, double rare earth elements are added into the Ag matrix. The composite effect of heavy rare earth and light rare earth is more obvious. Like La and Y, they can play the role of Co multiplication or complementarities, which is more beneficial to improve the comprehensive performance of Ag matrix. Alloying of Oxygen Active Elements. A small amount of Sn, Si, Zn, In, Ge and other oxygen active elements is added into Ag matrix, which is full of oxygen affinity to form a stable oxide and this oxide is to be used as the protective coating for the Ag matrix. Ag alloying with oxygen active elements is the most popular type in the market presently. Ag surface treatment is to utilize chemical or physical methods to form inert protective film on the surface of Ag products, which makes isolation of Ag from environmental media to avoid the occurrence of Ag corrosion and discoloration. Surface treatment is a simple and effective method, which mainly includes techniques of surface plating, surface passivation, surface coating, and surface deposition films. Ag surface plating is to employ noble metal plating (Pd, Au, Pt, Rh, Lr, etc.) onto the Ag products, which can effectively prevent the Ag layer from discoloration. But the cost is too high. It is only generally used for a few military products with high reliability and stability and some high-end products. Ag surface passivation is to deposit a layer of chromate film onto the Ag with chemical or electrochemical methods to passivate the Ag surface and to realize the protective effect. However, Cr6+ can pollute the environment. Therefore, Ag surface passivation technique has been replaced by other techniques in recent years. Ag surface coating is developed with dipping or immersing Ag products into a certain organic anti-coloring solution to build a protective layer onto the Ag against corrosion and discoloration. This technique is the most studied, the most widely used for product types, and the most applied at present. Resin Coating (RC) mainly includes acrylic, organosilicon, epoxy, polyurethane and other resin coatings. The RC film needs a certain thickness to prevent the corrosion and tarnish. Film thickness will weaken the performance of Ag. Plasmapolymer Coating (PC) is discovered and fabricated by the Fraunhofer Institute (IFAM)  in Bremen, Germany. There are few application researches up till now. Organic Adsorption Complex Membrane (OACM) involves many different structures of organic matters as anti-corrosion inhibitors adsorbed and complexed on the Ag object surface. Guo  used 1H-Benzotriazole (BTA) as discoloration inhibitor. Fang et al. applied Benzo tetrazolium (MTA) as anti-corrosion inhibitor. Meanwhile, themselves made AT-2 corrosion inhibitor by himself and good application results have been achieved. Li et al. employed 1- phenyl -5 mercapto tetrazolium (PMTA) in preventing Ag from tarnishing; Zhang et al. built inhibitor PMM, which is a compound of PMTA, 2- mercapto benzoxazole (MBO) and 2-mercapto benzimidazole (MBI). The inhibitors are adsorbed on Ag surface to form a complex membrane. Furthermore, PMM has synergistic effect so that the mixed inhibitors are more effective. Liu et al. used thiadiazole derivatives DMTD, MMTD and DDTD respectively to be chemically adsorbed onto the Ag, which has good corrosion resistance property. Masayoshi  adopted Ag substrates with poly (2-vinylpyridine) films as anti-corrosion inhibitor presented exceptionally stable. Chang et al. applied AgNPs with polypyrrole (PPy) shell as anti-corrosion inhibitor provided high protection efficiency. Ali et al. built surfactants deriving from hydroxyphenyl propionic acid and made them be synthesized into HTOPD, HTOPT and HTOPH respectively, which are adsorbed onto the Ag to stabilize the Ag performance. Pan et al. studied thiazolide compounds DPTD, 2-DHPTD, 3-DHPTD, and 4-DHPTD respectively which are adsorbed onto the Ag to inhibit the Ag corrosion. Supramolecular Self-Assembly (SSA) protective film is a molecular layer in ordered arrangement at molecular level. The higher the order and compactness is, the better the effect of anti-corrosion and anti-color is. SSA technique is applied in the Ag corrosion protection and research workers at home and abroad have carried out a series of studies. Herein, Xu et al. designed graphene oxide (GO)-encapsulated AgNP-coated silk fibers with GO serving as the protective film through hyperbranched poly(amide-amine) (HBPAA)-directed self-assembly for protecting AgNP coatings to improve its function persistence. Wu et al. invented a method of rapid self-assembly of ultrathin GO film. In this work, a large-area ultrathin and uniform GO film is freely self-assembled at the interface of pentane-water by a rapid process within only 3 min, and subsequently transferred onto the surface of AgNW film by a simple dip coating process, resulting in an impressive improvement in the conductive performance and stability of the AgNWs. Hassan et al. studied the anti-corrosion potentials of chitosan-g-PEG (Ch-g-mPEG) assembled on AgNPs. The results revealed that the inhibition efficiency obtained by Ch-g-mPEG self-assembled on AgNPs is greater. The Ch-g-mPEG was synthesized through Chitosan (Ch) being grafted with poly(ethylene glycol) and the synthesized compound could be classified as mixed-type corrosion inhibitors. Tomas et al. found that significantly better molecular protection for Ag surfaces is afforded by the carboranethiol derivatives, among which 9,12-(HS)2-1,2-C2B10H10 is proved to be particularly effective. Aliaksei et al. investigated the adsorption of isomeric molecules with relatively strong and oppositely oriented molecular dipoles, 1,2-(HS)2-1,2-C2B10H10 and 9,12-(HS)2-1,2-C2B10H10, on a flat Ag surface. An effective surface passivation is observed and co-deposition of both derivatives is shown to enable effective and fine adjustment of the surface work function in a desire way. Yang et al. used 2-mercaptobenzothiazole (MBT) to be self-assembled on Ag surface for anticorrosion. The promising inhibition effect of the MBT for Ag from corrosion has been confirmed. Additionally, Yang et al. employed 2-amino-5-mercapto-1,3,4-thiadiazole (AMT) as a protective reagent for Ag from corrosion. Anti-corrosive effect of the AMT has been ascertained. Megumi et al. investigated the co-adsorption self-assembled films of trithiocyanuric acid (TCA) and 1,3,5-benzenetrithiol (BTT) on evaporated Ag substrate to protect Ag from corrosion. Liang et al. , Feng et al. and Du et al. explored the tarnish protection of Ag by octadecanethiol (C18H37SH) self-assembled protective film onto the Ag surface. Chen et al. , Bernard et al. , Burleigh et al. and Magali et al. researched the tarnish protection of Ag using a hexadecanethiol (C16H33SH) self-assembled protective membrane onto the Ag surface to prevent the tarnishing. Burleigh et al. comparatively studied the self-assembled films of perfluoroalkyl amideethanethiols (F(CF2)8CONH(CH2)2SH), fluoroalkylthiols (C10F21C2H4SH), and alkylthiols (C16H33SH) for the prevention of Ag tarnish respectively. Liu et al. and Liu et al. constructed self-assembled film of 3-mercaptopropyltrimethoxysilane (MPS) to be adsorbed onto the Ag for protection against corrosion. Liu et al. also explored self-assembled film of Schiff Base to be adsorbed onto the Ag for protection against corrosion. The above-mentioned explorations and attempts have laid a certain foundation for the development of SSA protective film on Ag objects. How to adjust the film structure, reduce the film defect and enhance the film stability, reproducibility and compactness is the important aspect to improve the protection efficiency of self assembled membrane. These study points should be explored and focused on in the present. The SSA film belongs to ultrathin organic coating. It is unaffected by the shape of the matrix surface and does not affect the Ag appearance. It only has been for more than ten years for the SSA film to be applied in Ag corrosion, but it has been paid much attention to. It is an important research direction for Ag objects anti-corrosion and anti-discoloration. Ag surface deposition films fabricated through different deposition techniques are able to protect Ag layer from corrosion and discoloration. Magnetron Sputtering (MS) technique is adopted to deposit a protective layer on the Ag surface against corrosion and discoloration. Xu et al. deposited SiO2 films with MS technique to prevent Ag from corrosion and discoloration. Plasma Beam Sputtering (PBS) technique is utilized to deposit a protective layer on the Ag surface against corrosion and discoloration. Kelsey et al. deposited NiCrNx films with PBS technique to prevent Ag from corrosion and discoloration. Chemical Vapor Deposition (CVD) technique is employed to deposit a protective layer on the Ag surface against discoloration. Muhammed et al. and Zhao et al. deposited a layer of graphite (Gr) film with CVD to prevent Ag discoloration. Riccardo et al. deposited SiO2 film with Plasma Enhanced Chemical Vapor Deposition (PECVD) to prevent Ag discoloration. Angelini et al. and Saad et al. deposited SiOx film with PECVD to prevent Ag discoloration. Atomic Layer Deposition (ALD) technique is used to deposit a thin layer of metal oxide (MO) film on the Ag surface against corrosion. The ALD protective film is constructed with the precursors. They are alternately pulsed through reactor, and chemically adsorbed onto the Ag, and which react to form a deposition layer. It is a successive deposition of monatomic layer at atomic level. Besides, it is a transparent nano ultrathin film with high density, high accuracy, no pinhole and high conformality and it does not affect the Ag appearance. Its compactness is better, and its protection performance is higher. The ALD technique applied to the Ag protection has been paid a wide attention to in recent years. A series of studies have been carried out in universities and scientific research institutes at home and abroad. Herein, Wang et al. demonstrated a laminated ZnO/MgO (ZnMgO) as a protective layer on the AgNWs films by using ALD. Ke et al. evaluated the performance of Ag surface treated with cerium oxide (CeOx) by ALD. Yan  proposed the ALD of Aluminum doped Zinc Oxide (AZO) for the AgNWs to achieve AgNWs/AZO composite transparent electrodes. Zhang et al. fabricated a stable Ag-carbonate membrane by ALD of ZrO2 overcoat. Paussa et al. protected the Ag surfaces against tarnishing by means of alumina/titania (Al2O3/TiO2) layer with ALD. Yeh et al. and Ma et al. applied the ALD technique to coat AgNWs and AgNRs respectively with a highly uniform and conformal TiO2 layer to improve their stability. Chen et al. 76], Pham et al. and Duan et al. reported an enhancement of the AgNWs performance by coating with zinc oxide (ZnO) using the ALD technique. Yang et al. , Ma et al. , Fedel et al. , Ali et al. , David et al. , Guay et al. and Park et al. evaluated the effectiveness of alumina (Al2O3) fabricated by ALD as a protective coating for Ag articles against the corrosion. The ultrathin oxide films deposited and coated on the Ag surface with ALD can improve the anti-corrosion and anti-discoloration of Ag and its performance can last for a long time. Research shows that the nano transparent ultrathin oxide films fabricated with ALD have a good application prospect. The ALD protective films applied in the Ag anti-corrosion and anti-discoloration lays the foundation to develop an effective corrosion protection method for Ag layer. Owing to the development of industrialization, pollutant content in atmospheric environment keeps increasing and the problem of discoloration of Ag under natural conditions is becoming more and more serious. Also, in practical work and application, the corrosion protection and anti-discoloration of Ag are weaker. They are all the inconveniences for the efficacy of the functional Ag layer. Therefore, it is urgent to find an effective corrosion protection method for Ag layer. A variety of protection methods for Ag corrosion have been proposed by the scientific community, none of which perfectly satisfies the requirements of all applications. So far, there has been no widely recognized method, and only certain effects have been achieved and limited commercial applications have been obtained. The Ag alloying can effectively alleviate the discoloration of Ag, but the alloy component has strict requirements and its application area is also limited. For pure Ag products, they are mainly through surface treatment. It is to produce a protective film on the Ag surface, which would isolate Ag from environmental media to avoid the Ag discoloration. For the surface treatment of Ag, the following requirements should be taken into consideration: ① It should keep the original appearance of Ag. ② The surface treatment should be nontoxic, harmless, stable and easy of processing. ③ It should have great maneuverability. ④ The thickness should be as thin as possible. ⑤ The film should be easily renovated and removed. ⑥ The film should have durability and ability of withstanding wear. ⑦ The treatment process should have low cost. As a result of scientific research and practical application, the SSA and ALD technologies are very potential to be applied in the development of protective film for Ag layer. For SSA, it is to design the supra-molecular structure and the component of self-assembly system, to construct the interface recognition of molecules on the Ag surface, to complete the orderly arrangement at molecular level, and to form the self assembled membrane on the Ag surface to realize the protection of Ag. For ALD, it is to select the precursors and the carriers of reactant, which have capability of saturated chemical adsorption and reaction with Ag, and to form the nano ultrathin films at atomic level to realize the protection of Ag. For the SSA and ALD techniques to be applied in the Ag protection, a systematic and in-depth study needs to be carried out. Ag discoloration is a complicated phenomenon. Therefore, the Ag anti-discoloration protection needs comprehensive treatment. In every link, such as production, assembly, storage, transportation, display and use, it should be carried out comprehensive control from all aspects. In production, it is to purify air quality and to control temperature and humidity in the production workshop. During assembly, operators should wear clean gloves to prevent hand sweat, grease and other corrosive substances from sticking to the Ag surface. During transportation, it should be packed with gas phase antirust membrane, or anti-color paper and anti-discoloration fabric, through isolation and chemical action to retard the Ag discoloration. During storage and display, it should be put in a sealed cabinet, in which some substances can eliminate pollutants around Ag through reacting with sulfur, oxygen, chlorine, etc., so the Ag discoloration has been slowing down. The Ag corrosion and discoloration is a persistent problem that puzzles its application. The Ag corrosion protection has always been a research difficulty. We need to continue to work unremittingly for research and development of appropriate methods, which are suitable for the needs and requirements in practice. The authors are thankful to the National Natural Science Foundation of China (51103083) for funds.